ORGANIZED LIVING: Hazard Awareness – To Store or Not to Store? You’ve finished painting your living room, and you don’t have room for the cans of leftovers in your garage, so you’re eyeing your storage unit. At the same time, your kids have outgrown their pop-up pool, and your storage unit looks like a good place to store the pool and the water treatment chemicals until you can find a new owner. Both of these scenarios sound reasonable, but they could spell disaster. While items like propane tanks and gasoline are most commonly associated with fire risks, even old paint and common household cleansers can become combustibles when sealed inside a storage unit. Other items, including certain combinations of chemicals, pose health hazards. There are tons of common household materials that you might not even think twice about, but they could pose a problem for storage. Don’t risk your possessions—and the safety of your storage facility—just to save a few bucks on leftovers. The best solution? Dispose of hazardous materials at a certified, environmentally safe site. Make sure that chemicals are in their original packaging, and place broken/leaking items in additional containers. We’ve listed a few more disposal tips below. 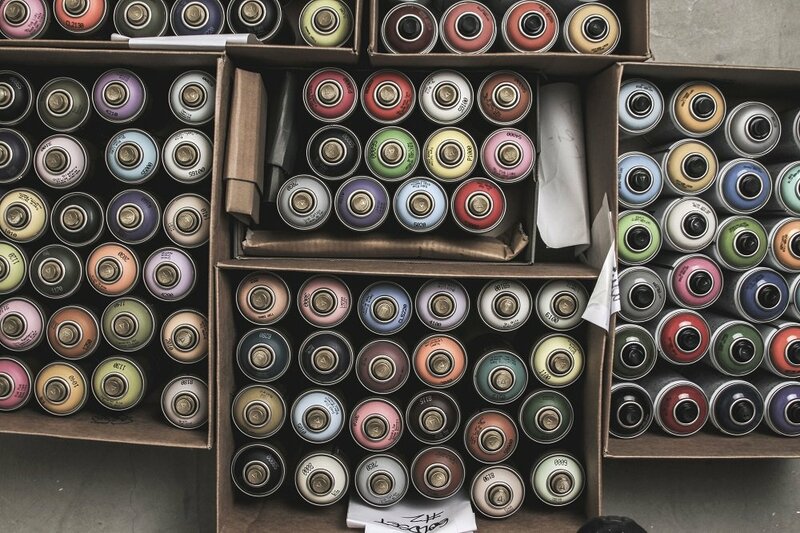 Latex paint may be thrown away, as long as your local garbage collection service allows this, but most places require cans to be at least half empty or more. And don’t just toss your cans. If the paint hasn’t hardened on its own, pour cat litter into the container until the leftover paint thickens and won’t spill. Then reseal the lid. Oil-based paint is not accepted in the garbage. The same goes for paint thinner. Both of these should be deposited at a collection facility in their original containers and sorted by type. In each circumstance when you are disposing of a liquid, please do not pour it down a sink. Sewage treatment plants are set up to treat mostly organic waste, and chemicals can seep through, essentially poisoning the water supply for everyone. Equally dangerous is dumping hazardous liquids into a storm drain—from there it can enter bayous or aquifers. Where Do I Take My Materials? Each collection site does things a bit differently, so be sure to get all the details ahead of time.